A few weeks ago, we took a long weekend break to Butlins Bognor Regis. We’ve been to Butlins Bognor Regis a couple of times now, have also visited the Skegness resort once too, and in our pre-children days, Sam and I had also been to the Minehead resort several times for a music festival. 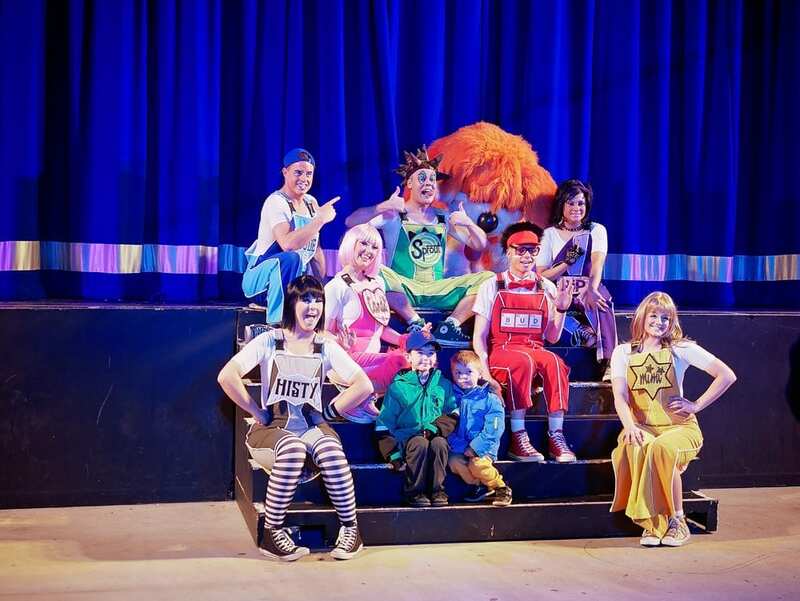 Butlins is definitely one of our happy places. Granted, it’s somewhere you go for the kids, rather than a relaxing break for the grown ups. But our children just have so much fun there, that Butlins just can’t help but put a smile on our faces too. 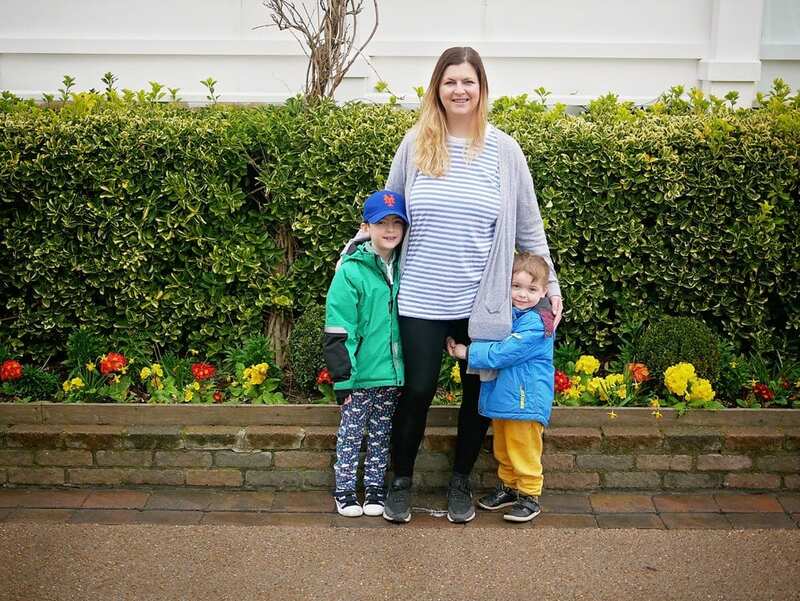 Every trip is a different experience, as their ages and abilities change – I love the anticipation, watching my eldest rediscover his favourite parts of Butlins, and watching our younger children experience something new. This trip, we were to stay in a Neptune room at the Ocean Hotel. In the past, we’ve stayed in chalets or apartments, so I was intrigued to find out how a Butlins hotel stay would differ. Our room had a twin bedroom, then a main area with double bed and a pull out sofa bed, meaning there was plenty of space for our family of five. We were in a top floor room, which was great as it means you have no noise from the rooms above you. With the apartments you get the added bonus of a separate living space, and a kitchen, but if a great deal came up, I wouldn’t hesitate to stay in a hotel over an apartment again. As with most resorts and theme park type places we have stayed in the past, we found we were barely there except to crash out at night time. There are a number of different dining options available when you book a Butlins break. There are self-catered apartments, you can pay as you go at the on-site restaurants, or you can add on a dining package. We had the premium dining package during our trip, which meant we could eat breakfast and dinner in the Ocean Hotel’s buffet restaurant, The Kaleidoscope. We also had the option to swap our evening premium dining meal for a voucher to use at one of the other on-site restaurants, such as Turner’s, The Diner, or Papa Johns. One thing that stood out to me numerous times was that I enjoyed the food more than on our previous trips to Butlins. Canteen-style eating can have a tendency to evoke memories of school dinners for me, but I genuinely enjoyed all of my meals included in the premium dining package – I was pleasantly surprised to see a perfectly cooked lamb joint during the Saturday evening buffet – juicy and red in the middle and full of flavour – definitely the highlight of my dining experience at Butlins. We arrived at around 6pm on the Friday, having come straight from picking up Arlo at the school gates. There was absolutely no queue to check in – within minutes we had dumped our bags in our room and were back downstairs enjoying a buffet dinner at the Kaleidoscope restaurant, on the ground floor of the Ocean Hotel. We finished dinner just in time to catch The Skyline Gang on the main stage in the Skyline Pavilion and spend half an hour or so in the arcade before it was time to head back to our room for bed. Not normally the one to wake first, Arlo was up bright and early the next morning, brimming with excitement, for he knew that the fairground rides and the soft play would soon be opening. After enjoying a filling breakfast at the Kaleidoscope Restaurant, we wasted no time covering the soft play and the indoor fairground rides as soon as they opened at 9am. By 10am we were ready for the fairground. The most anticipated event for Rory was the helter skelter, which we rode numerous times. By 11.30, we had covered most of the fairground and were ready to head back into the skyline pavilion for a snack, a coffee, and to watch a mid morning show. After lunch, Sam took the boys swimming. We met back up just in time to join the meet and greet queue for the Teletubbies. Sam and I could feel it edging closer and closer to g&t o’clock, so we took the children to the Beachcomber Inn, Butlins on-site pub and restaurant. The adventure playground is perfectly positioned for enjoying a quiet moment with our drinks whilst the boys clambered around and made new friends. We fell into a very easy routine of dinner at 6pm, finishing up just in time to catch the main show on the skyline stage, followed by an arcade machine session before falling into bed. I’ll never forget Arlo’s face when he won the 500 ticket jackpot on his very first go in the arcades. By late afternoon on Sunday, we’d had ample time for repeat visits to our favourite attractions, plus fitting in some of the things we hadn’t tried on Saturday (the dune buggy race track and the bumper cars). The abundance of pushchairs in the skyline pavilion gives it away that Butlins is a very easy place to take a baby. There are lifts and ramps everywhere. And babies are even catered for in the restaurants, where the dining layouts have been carefully planned to incorporate room for pushchairs at each table, there is never a shortage of highchairs, and Ella’s kitchen pouches are available on request. From the flashing lights of the arcade machines to the live shows, Otto was happy to take everything in from his pushchair. And for the more mobile babies and young toddlers, there is the Billy’s Buddies play area. Granted, you are probably there more for their older siblings’ benefit, but there is plenty to keep even the youngest of family members entertained, and Otto had a smile on his face practically the whole time we were at Butlins. We have been to Butlins a few times now, and it just seems to get better every time. The boys are at such great ages to enjoy all of the things that Butlins has to offer, and we came away having had even more fun than I had anticipated. Thank you to Butlins for providing our stay for the purpose of our blog / youtube feature. If you think you’ll be swimming a lot, I’d say Skegness, as the pool is a lot more modernised and nicer. Otherwise, I prefer the layout and size of Bognor.